You Scream, I Scream, We all Scream for (Soft Serve) Ice Cream – Go There. Try That. Summer is soft serve ice cream. Hot, long days beg for the light, airy texture that regular ice cream just can’t deliver. I mean, I’m never going to turn my nose up at a banana chip cone from Aglamesis or mint chip from, well, anywhere, but soft serve is special. This is a relationship born in childhood. Most of my summers were spent in the beautiful Northwoods of Wisconsin. 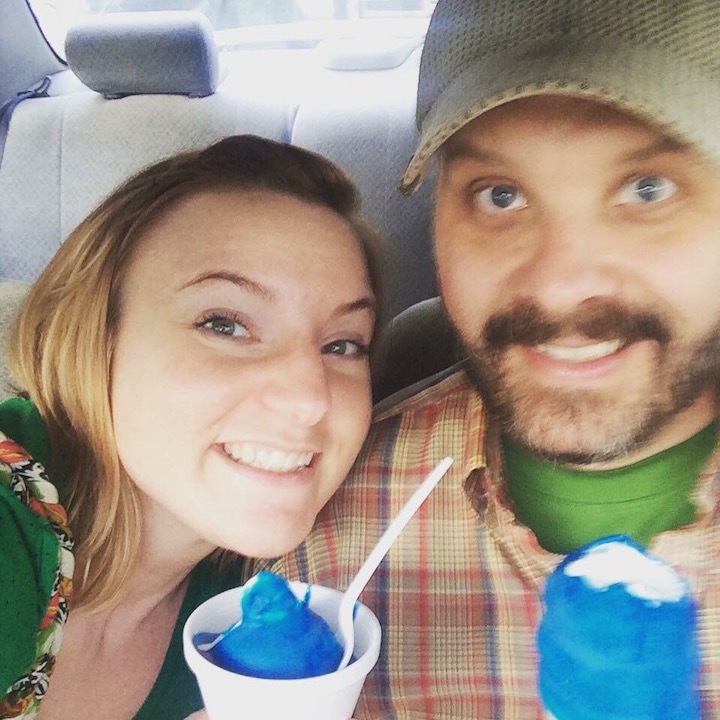 Fishing, swimming, and frequent trips to the Dairy Maid in Land O Lakes, Wisconsin. Our home was a 20-minute drive from town and going to town was a treat. The Dairy Maid (still there) was the place we loved taking family and friends. All these years later, I would still argue that it’s THE ice cream to scream about! But, is it really the ice cream that’s so wonderful or is it the memories? I think it’s both. Summer is my Aunt Ginny and her small turtle sundae. It’s my mom and her mint milkshake. It’s my own chocolate ice cream cone dipped in cherry. Yes. Summer is precious; summer is soft. 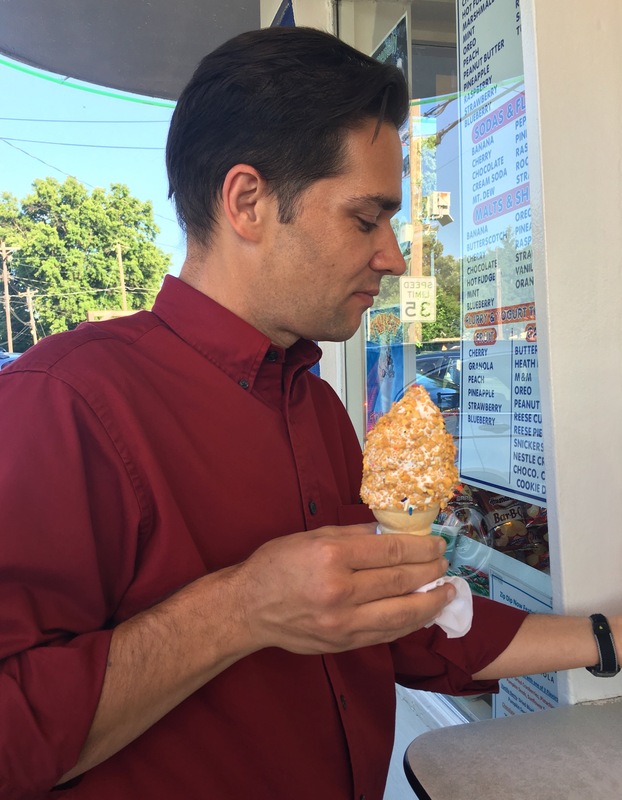 So, since it’s summertime and I pretty much have never met an ice cream cone I didn’t like, my husband, based on the suggestions of readers, drove me around the greater Cincinnati area in search of the best soft serve. What did I learn? 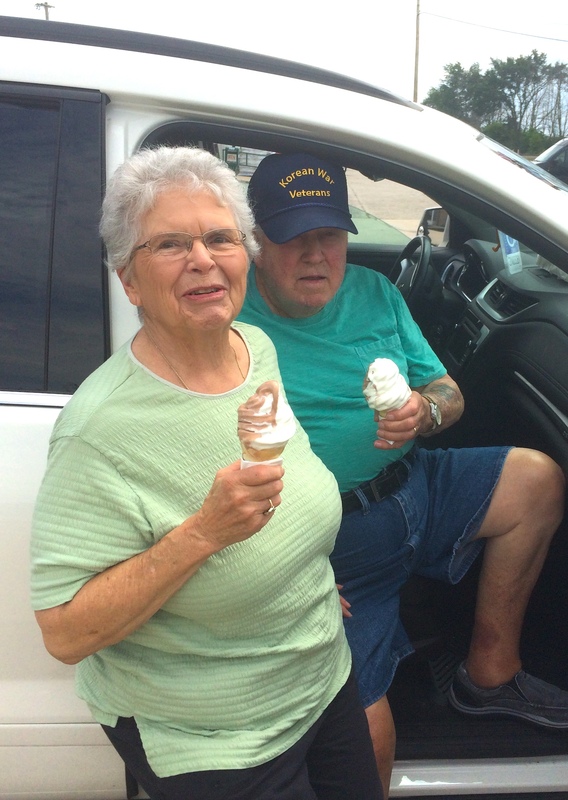 People are passionate about their favorite whippy dips and dairy stands. But, does all soft serve taste the same? Does it matter where the goodness comes from? Yes! Yes, my friends; it does. Zip Dip in Cheviot- Homemade orange soft serve sherbet = creamsicle on a cone. Cute seating area. Well-landscaped. Tucker’s Whippy Dip in Mason- Blackberry soft serve. Enough said. Putz’s in Mt. Airy- Strong chocolate shake! Community gathering place. Best straight up vanilla soft serve. Family operated since its opening in the 1930’s. Dairy Whip in Loveland- Cute kid’s options. Tons of sundae choices. 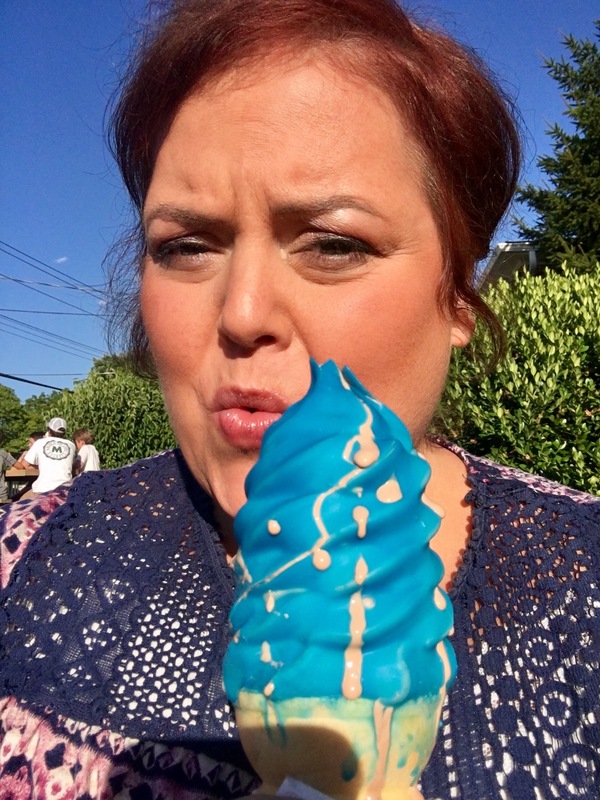 Blueberry soft serve mimics Kings Island. Trackside Treats in Anna, OH- Throwing this one in for my hometown family and friends. Nice patio seating. Super friendly service. Easy drive-thru. Offers rotating flavors of Dole Whip (nondairy and super fruity). Dairy Corner in Newtown- Killer blue raspberry dip here! Best yet (and I love my dips). If you don’t know what dip is, think magic shell. It hardens against the cold ice cream; beware though because the ice cream melts fast, but it’s worth it! This soft serve is lighter, icier, and thinner which I like! Creamy Whip in Mt. Washington- Baked goods available. Super duper creamy texture. Loads of toppings! Generous ice cream portions. Best cherry dip. Friendly service. Indoor and outdoor seating. This one feels like an ice cream parlor! This kind of line is common at Putz’s. Ummm. 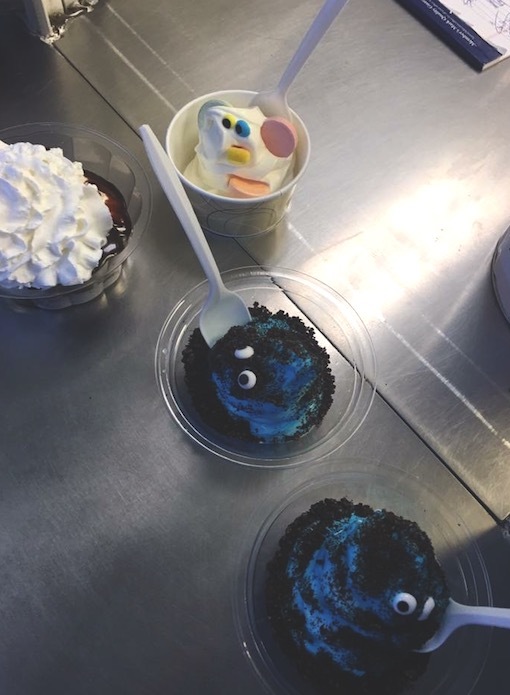 Just look at these treats for kids at the Dairy Whip in Loveland. This pic of my parents is precious! Enjoying soft serve from Trackside in Anna, OH. Blue raspberry dip from the Dairy Corner in Newtown! 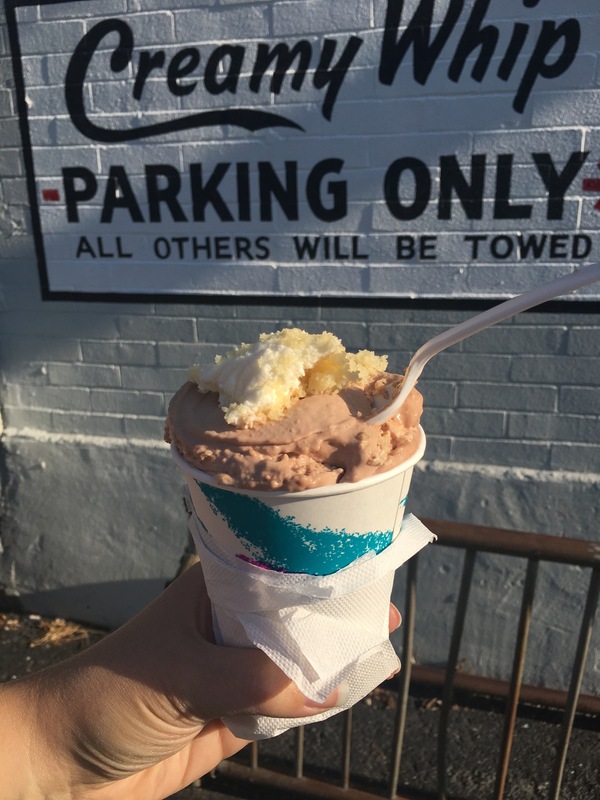 A friend favorite: a blizzard made with real cake from the Creamy Whip in Mt. Washington. Flubs in Hamilton- In addition to great soft serve, Flubs has soft serve Italian ice (dairy free) and homemade sherbet soft serve. When we visited, the sherbet flavors were orange, blue raspberry, and fresh nectarine. We tasted each and they were refreshing and delicious, but man that fresh nectarine was special! 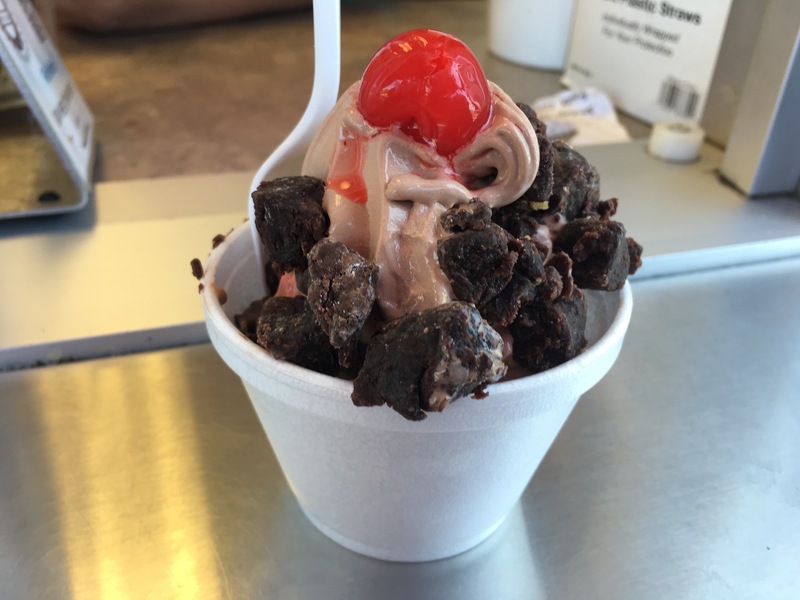 My husband got chocolate soft serve topped with freshly made brownies (still warm) and a cherry on top. It was the farthest drive, but this no-frills (no real sign even) Dairi-ette definitely stands out. The Cone in West Chester- First of all, the ice cream stand is shaped like a cone! Bonus points right there. The cone has a huge variety of dips including toasted coconut, cake batter, peanut butter, and cotton candy. It also has a game room, covered seating, and a quirky drive-thru. 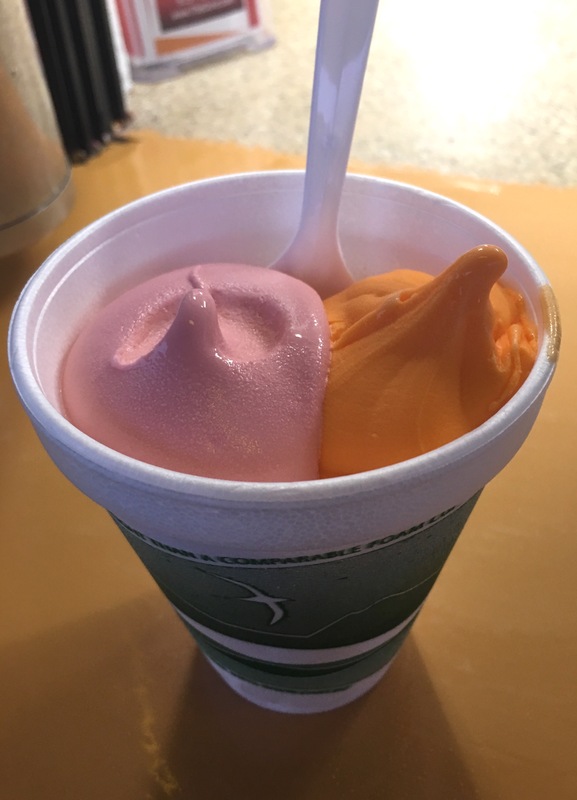 If you don’t want regular soft-serve, the cone offers homemade sherbets and Italian ices (all soft serve). The menu is huge . . . begging for another visit. Fresh nectarine from the Flubbs. Chocolate soft serve topped with freshly baked brownies from Flubbs. My sister loved this strawberry and orange sherbet from The Cone. 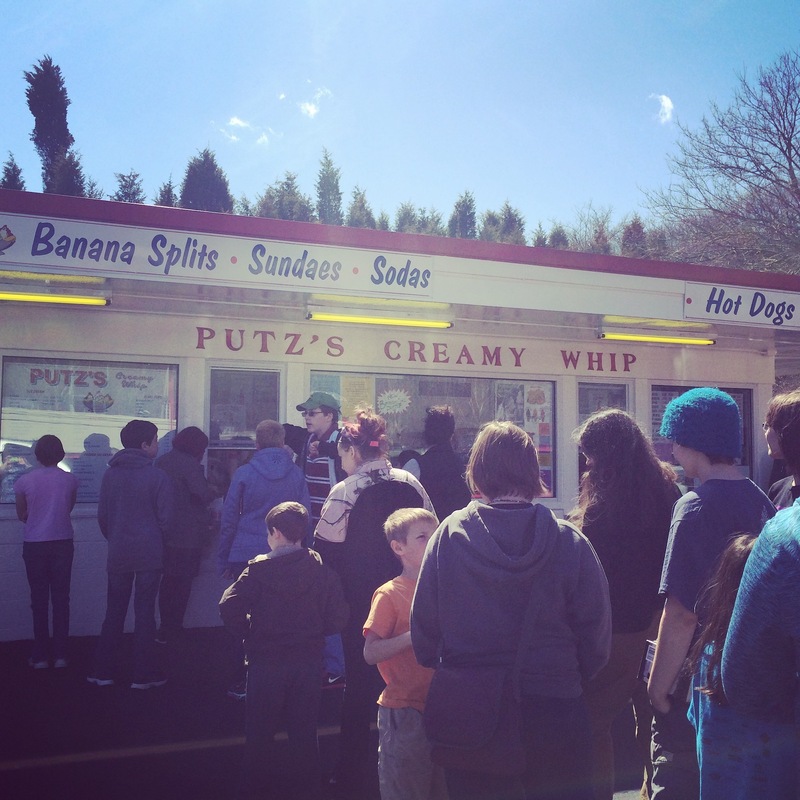 I know I celebrate local places and don’t usually write about chains, but I have another strong memory associated with soft serve ice cream. This one is equally as sweet. I remember helping my dad make homemade ice cream for family dinners and fish fries. We brought out the wooden bucket, cranked it by hand, and my dad, sitting in his lawn chair, would dish it out by the bowl full. He always topped that sweet, icy, homemade goodness with “chocolate dope”. 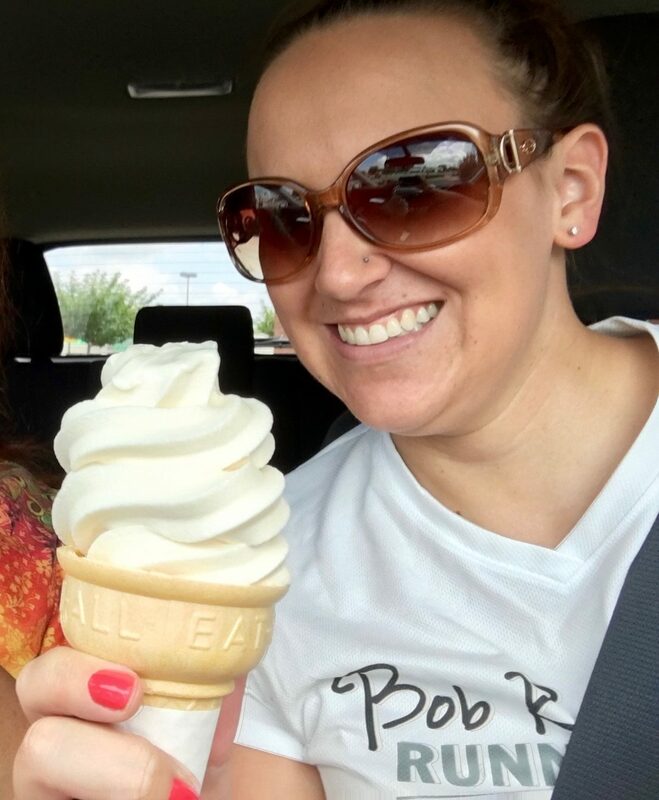 It’s because of this memory that I must mention Chick-fil-A’s ice dream cone; it’s the vanilla ice cream that takes me back home to those people and those meals that I miss so much! I know summer does not own ice cream, but it’s the time to celebrate our favorite little ice cream stands. To make memories. To gather. To treat ourselves. To stay up late. To feel like a kid even if we aren’t so little anymore. I’d love to hear more about your most coveted places and favorite treats! 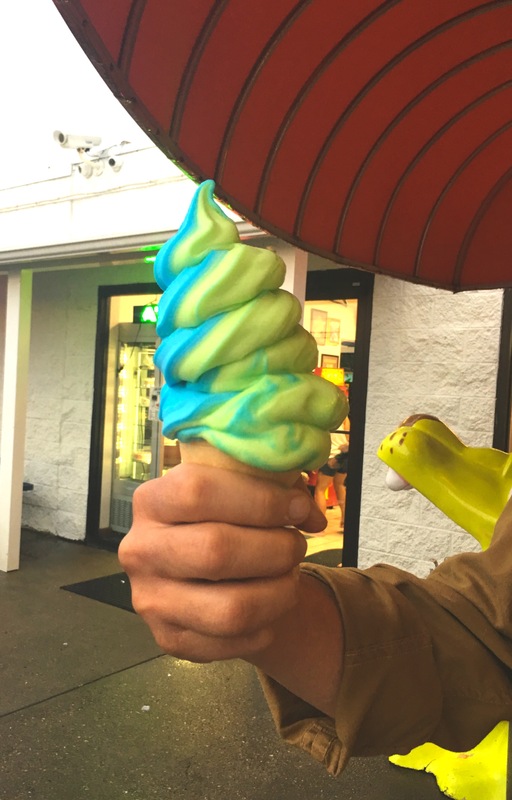 Tip: Take cash; many free standing soft serve shops are cash only! 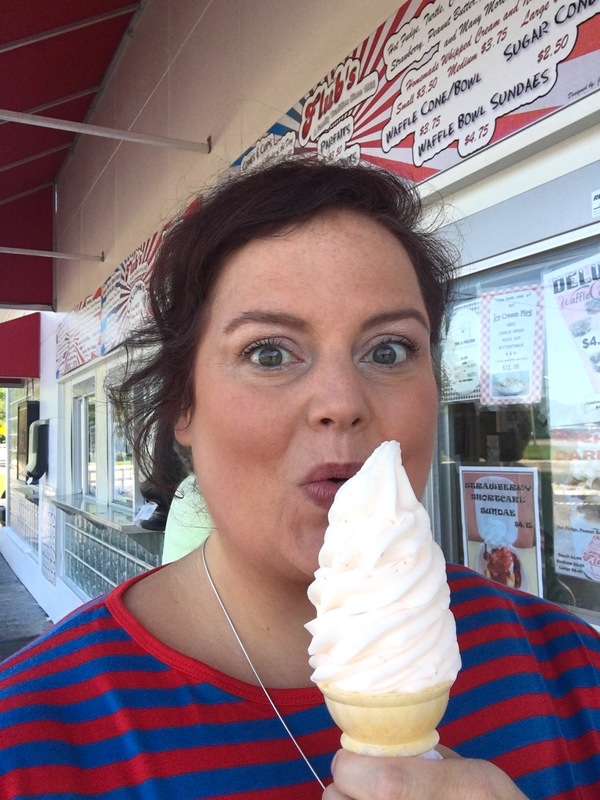 GO THERE (all the soft serve places)! TRY THAT (soft serve, sherbet, dips)! Everything looks scrumptious! A super fun blog! I was inspired today! So I went to my neighborhood favorite, Mt. Washington Creamy Whip and got chocolate soft serve with chocolate chip cookie dough pieces on top. It was AMAZING! I usually get the cake flurry which is also AMAZING! But today, I changed it up:) Delicious as always! Great post! I have a lot of places to try!! !